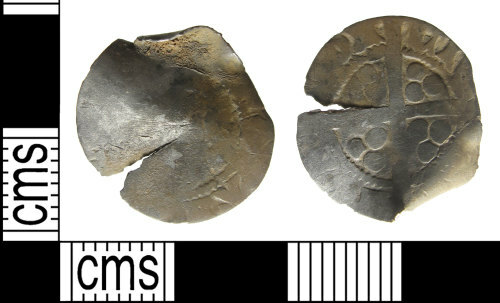 A silver medieval long cross Edwardian penny dating from c. AD 1307 - 1489. Mint of London. The coin is very worn and broken.